With an abundance of wildlife and the natural beauty of the landscape, safaris offer endless photographic opportunities. Anyone can take a photo, but with Five Zero, you’ll capture unforgettable images. For expert and amateur photographers alike, hone in your wildlife photography skills with award winning photographer Kurt Jay Bertels. Smaller groups mean better photos – more space, personalized attention and no schedule to keep. We’ll wait until the right photo is captured. With expertise not only in luxury travel, but photography and wildlife as well, we’ll help you capture photos you’ve only dreamed of. We focus on in-safari coaching – getting the shot right in the sighting. For the beginners, we slowly move through the different skills and techniques during the safari, leaving you with a portfolio of images each one better than the last, and for the more seasoned photographers, we go straight into advanced techniques, and spend a lot of time on animal behaviour – understanding where the next great shot is coming from. It doesn’t matter if you shoot Canon or Nikon, DSLR or mirrorless, if you have the best camera gear or a cheap-and-cheerful, the principles are all the same, and we help you understand your camera better, so you can make the images you want to. So unplug, get off the beaten path and come away with us. 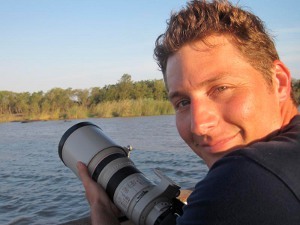 Kurt Jay Bertels is an international award winning wildlife photographer, born and raised in Johannesburg, South Africa. Kurt spent eight years working as a ranger in Africa’s famous Kruger National Park in the Sabi Sands region. Answering to the call sign “five zero,” he hosted international clientele in the private game reserves. His vast experience in photography both in the bush and with wildlife behavior culminate to help you get the best positioning for your photographs. 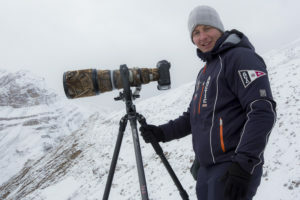 With his organic style of translating photography – either advancing your skills or developing your fundamentals – Kurt assists everyone from amateurs to professionals with enthusiasm, foresight and clarity. Kurt is to date, the youngest person to win Fuji/Getaway Wildlife Photographer of the Year. His images have also been recognized by some of the world’s largest wildlife photographic competitions including, the BBC Wildlife Photographer of the Year, International Photographer of the Year, Fotocam, and a host of other competitions. Most recently, he had two photographs accepted into Natures Best Photography Windland Smith Rice Photographic Awards, which were on display at the Smithsonian in Washington D.C. Additionally, Kurt’s work has been published in books and magazines around the world. To be able to capture a wild animal in its habitat for even just a split second, and have it on record for a lifetime is truly a dream come true for me – and I hope it will be for you too. This dream has become my passion and my journey and I look forward to sharing my experiences with you. Come and see wildlife through your lens with me.